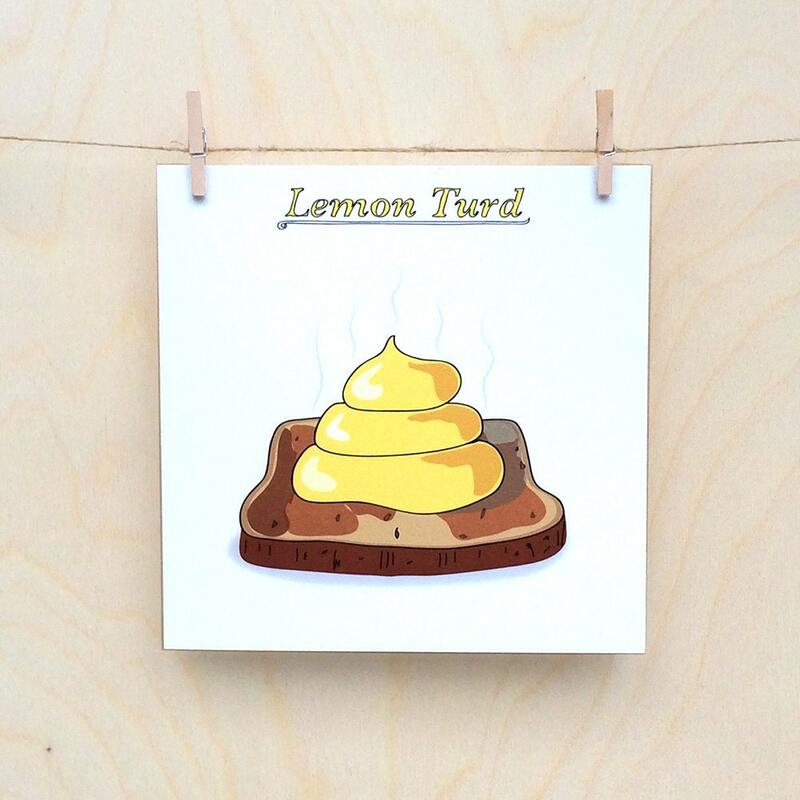 Just as there is nothing nicer than a lovely piece of toast smothered in lemon curd there can be nothing funnier than a pice of toast with a big fat lemon turd on it. So there it is. 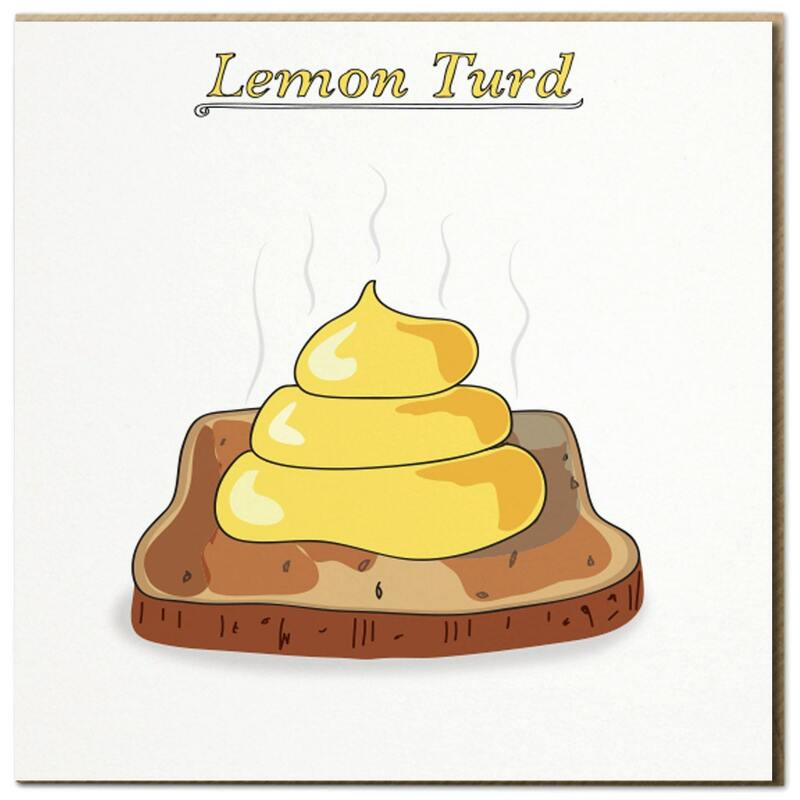 Nothing further to say on the matter. Enjoy. 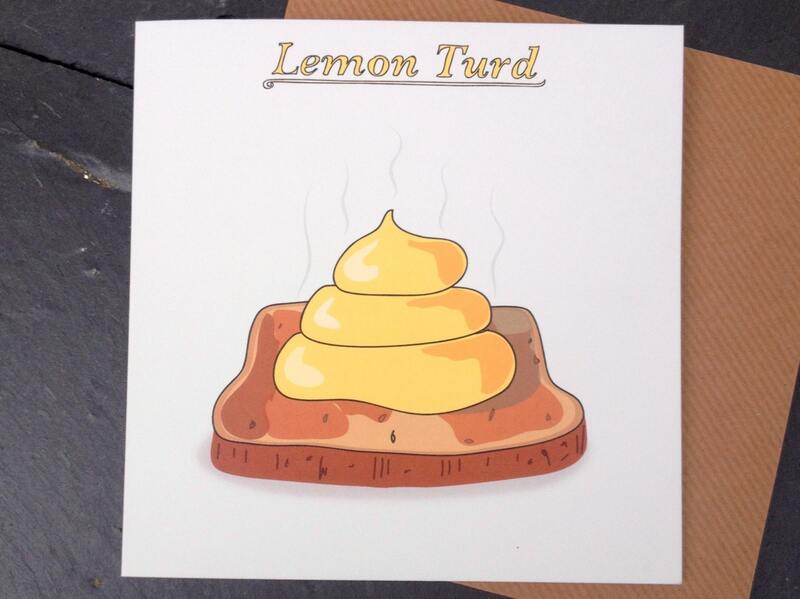 This card is 145mm x145mm and is printed on a lovely slightly textured 300gsm card. Ooh and it's got a lovely brown kraft envelope too so it looks all nice.